RIDLEY PARK, Pa. (WPVI) -- A dinner in Ridley Park Thursday night honored local young veterans. 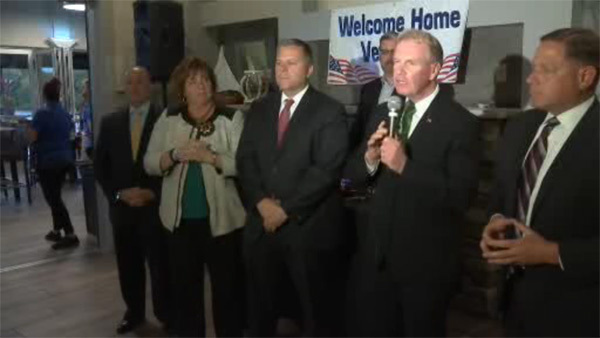 The Delaware County Council hosted an appreciation dinner for veterans who have fought in the global war on terror. County officials renewed their commitment to help the vets get the services they need to deal with physical and mental health issues, as well as job placement and homelessness.